I know it is has been a tremendously long time since I last wrote. I will admit life definitely gets in the way of reading and writing for pleasure. Today I went to wonderful new place called the Book Barn. I am sharing this because it was truly a wonderful experience. The shop is located in Niantic, CT and is a used bookstore. But this isn’t just any used bookstore, it is four shops under the same name right by the ocean. I instantly fell in love! It was a treasure trove that you must definitely spend some significant time in, I suggest an entire day if you can. I started my day at the Book Barn’s downtown shop for a few minutes, before I ventured off down the street to the Main Barn. I spent several hours in the Main Barn, just quietly looking at every possible book I could, I didn’t want to miss a thing! My friend who was with me today had been speaking about this place for years and I had never gone with her until today. I can now understand what the fuss was about. This is definitely a bibliophile’s dream! If you are like me, who doesn’t enjoy reading digitally, but has a strong marriage with the smell and feel of new and old books, I strongly recommend doing this for yourself! Lately, in the midst of all that is going on in my life, I have been trying to take a lot of time doing stuff I enjoy and make me happy. I feel it is very important for your heart and soul. After I spent a significant amount of time at the Main Barn, I went up the road to Store 4 3/4, a small shop that is really an extension of the Main Barn. Not finding much there, I went back downtown to the Midtown Shop before coming back up again to the Main Barn and making sure I hadn’t missed anything. The rest of the day spent eating good food and finishing up exploring the rest of the shops! I will definitely be back! 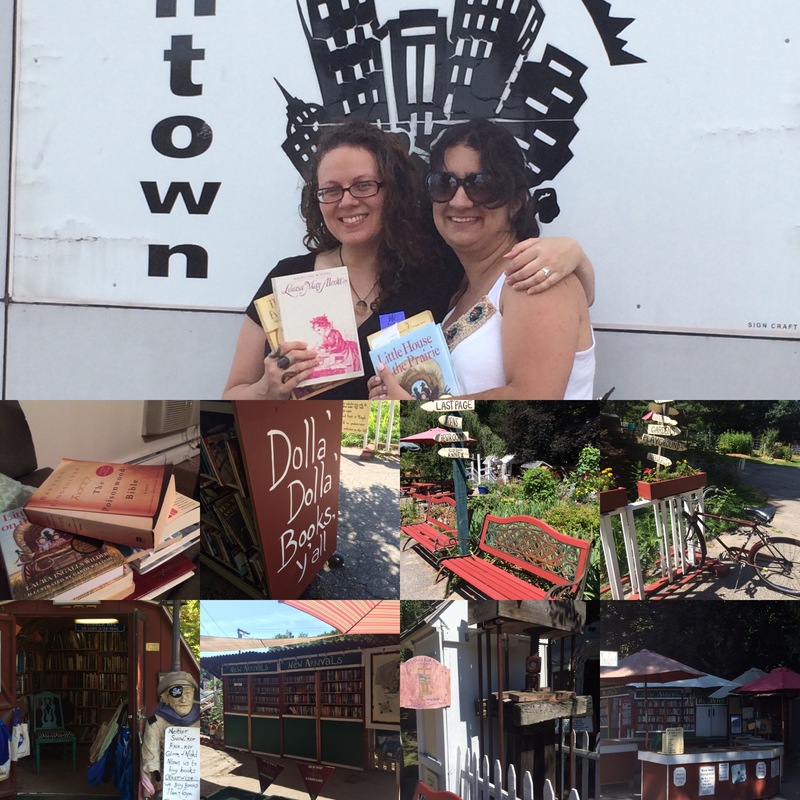 I also encourage if you are spending any time in Connecticut, that you stop by this quaint beach town and the the Book Barn!